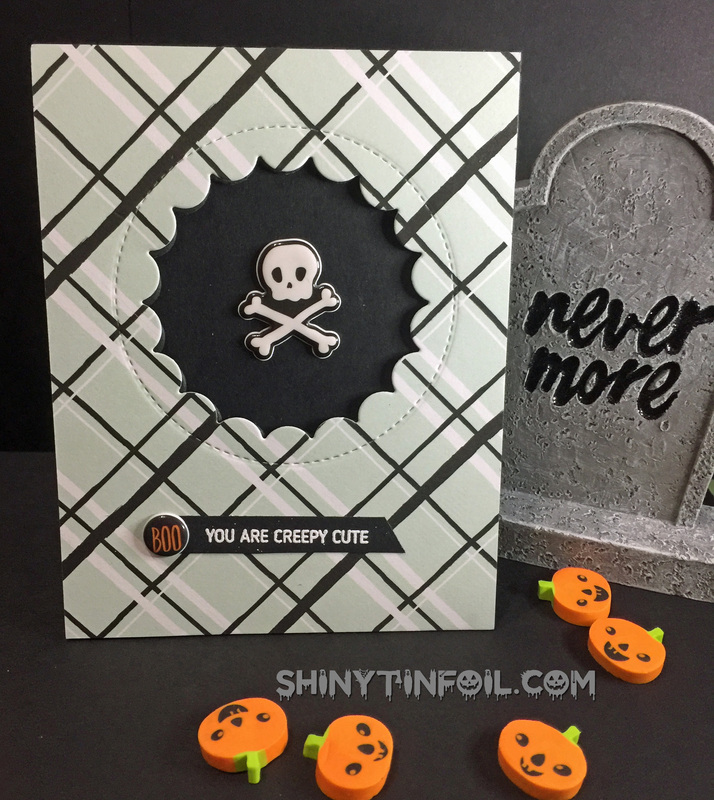 Shiny Tin Foil » Blog Archive » Simon Says Stamp 2017 Halloween Kit – Creepy Cute! 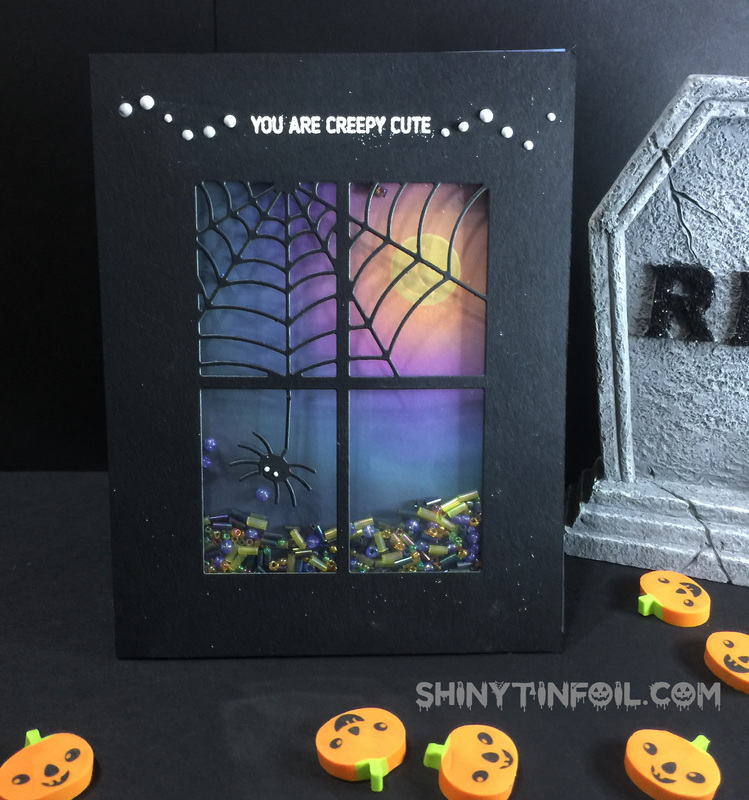 Simon Says Stamp 2017 Halloween Kit – Creepy Cute! It comes as no surprise to friends and family that Halloween is my favorite holiday. 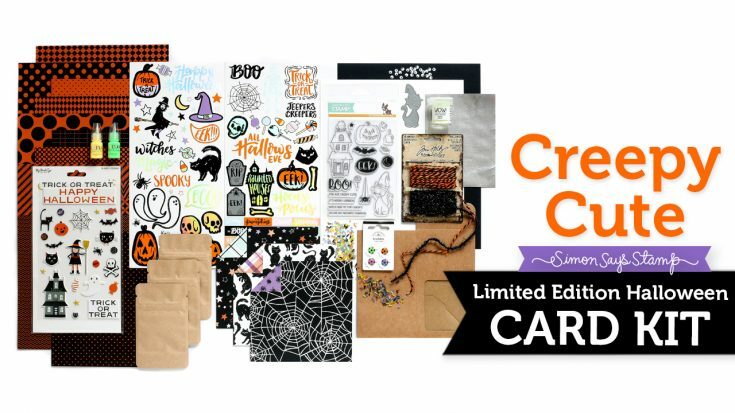 Nothing is as exciting than cute critters in witches hats… paper in orange, black, green and purple. A ghost or two. 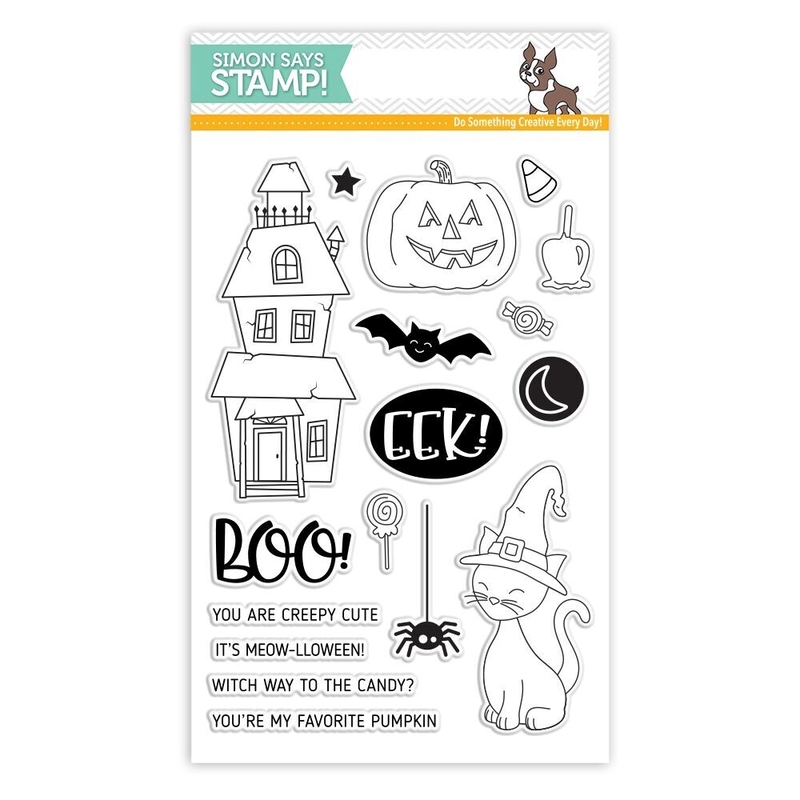 So when Simon Says Stamp came out with their annual Halloween kit I was right there…probably order number 17 in the list of people. The stamp set is just awesome. My first card I wanted to use a new bat stencil I bought recently. I used black embossing paste but discovered it was matte and hard to see. 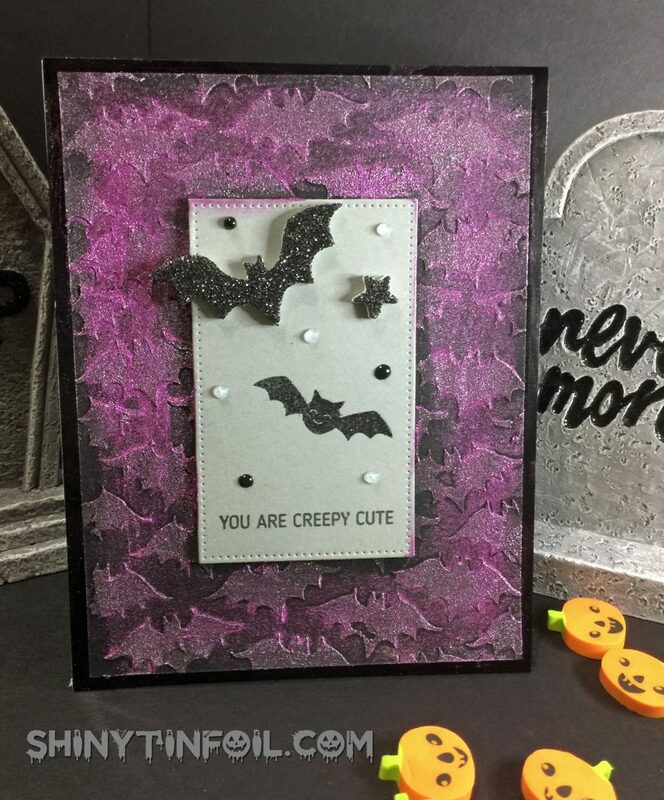 I ended up using some wonderful purple glitter paint on the card to highlight the bats. My second card I had wanted to use the google eyes. 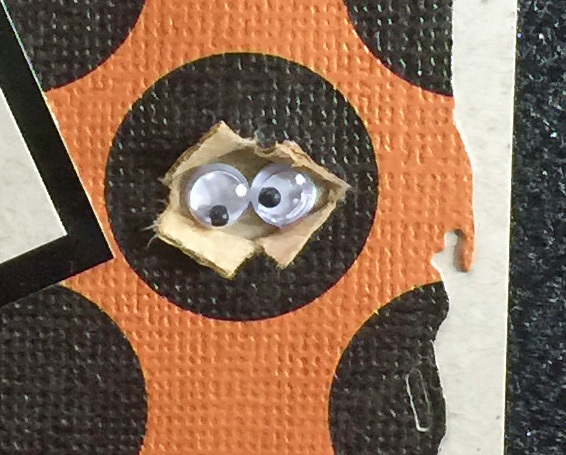 Isn’t that cute how they eyes come out of the paper. I don’ know about you but usually the first two cards are a struggle when I start a kit, I seem to get better as the card progress. Pretty simple card but I like it. 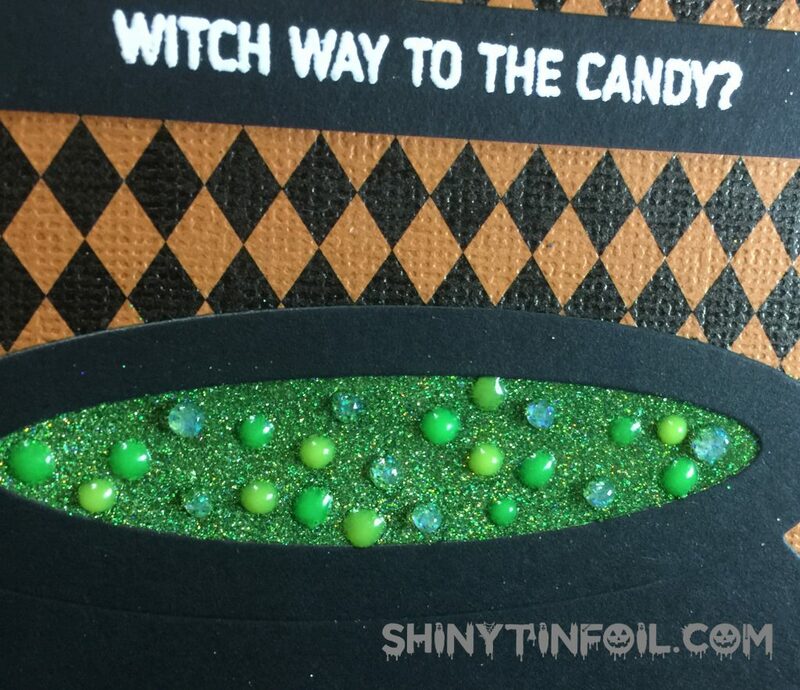 I bought some cool green glitter I just needed to use. I ended up using the green glitter on the witches brew….but to spice it up I used the glow in the dark drops and the crystal blizzard nuvo drops to create the bubbles. 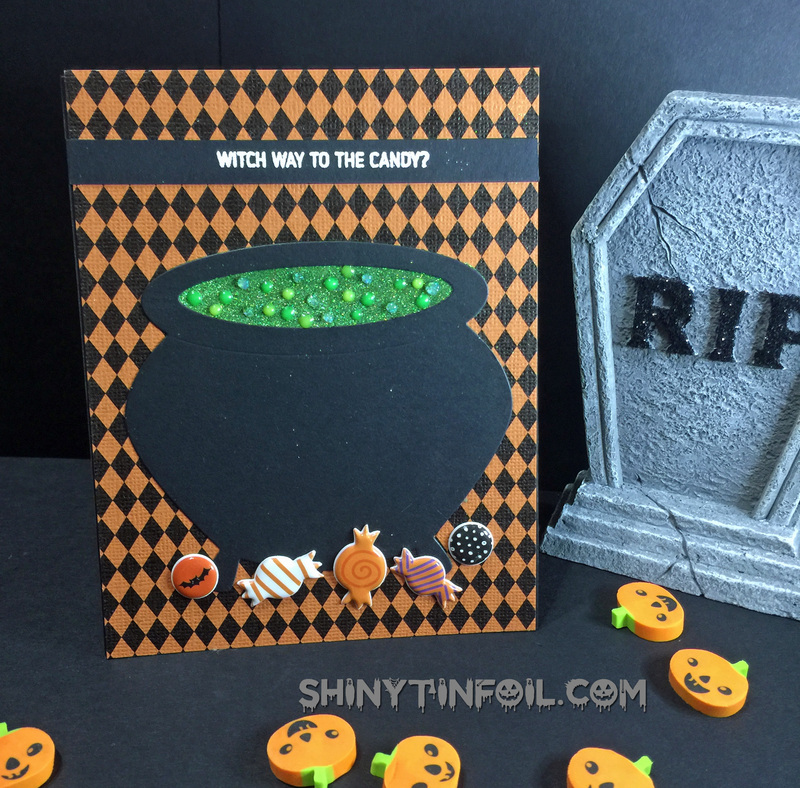 For my 5th card, I wanted to use the shaker beads. 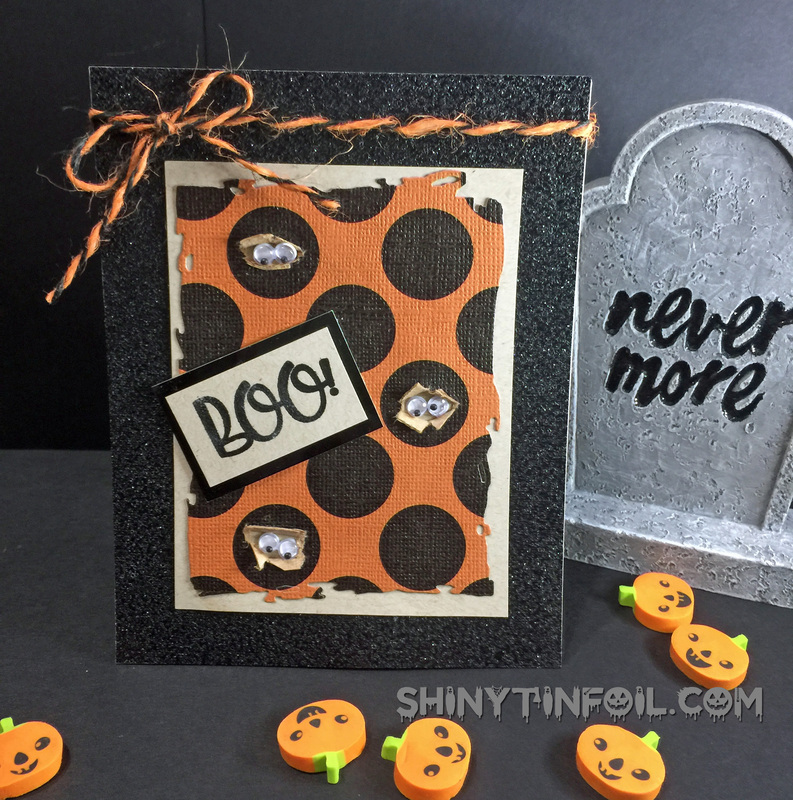 I used the moon stamp and then re-stamped it again to use the glow in the dark embossing powder. There are more cards to post but I wanted to make the deadline for the Simon Says Stamp Challenge. Look for more later this week.